Imagine you’re an astronomer interested in comets. You scan the sky with a small telescope, looking for a faint fuzzy patch in the sky. Soon enough you find one. But as you watch it over the next few nights you notice it isn’t moving against the background stars. So it’s not a comet, but rather a nebula. Looking through the night sky you again find a faint fuzzy object. Again, it’s a nebula. The problem is that nebula and comets often look similar, and only after observing the motion of a comet for a while can you be sure it’s not a nebula. Nowadays, you can simply take the coordinates of your object and compare it to a catalogue of known objects. But in the 1700s this similarity was a big frustration for astronomers, and it drove Charles Messier to create the first catalog of nebulae. Messier’s sketch of the Orion nebula (M42). Charles Messier’s early astronomical work focused on the Sun, and he observed the transit of Mercury in 1753. As his interests moved to comets, he ran into the difficulty of confusing comets and nebulae. So with his assistant Pierre Méchain he began creating a catalog of nebulae in 1770. By 1774 the first version of his catalog was published, and contained 45 objects. 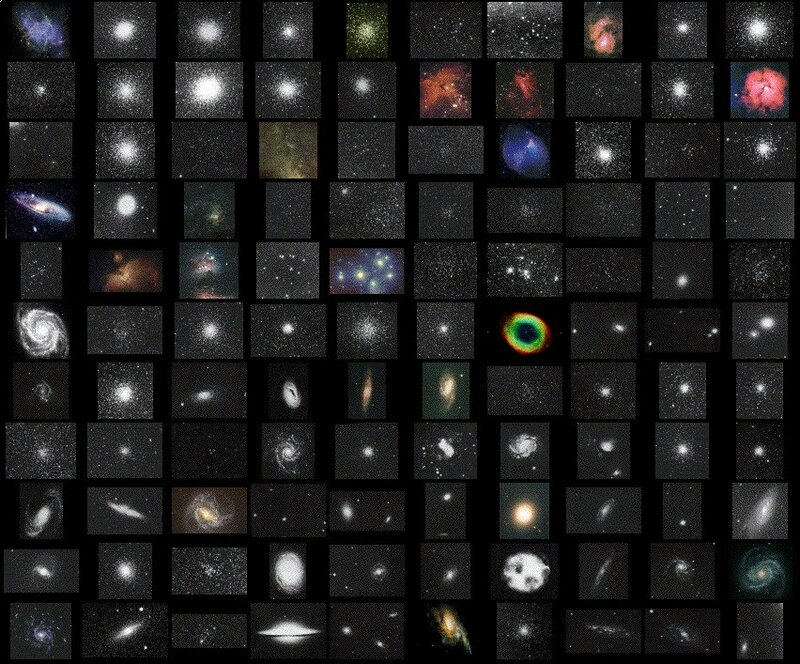 Not all of the objects were discovered by Messier, in fact all but 17 of them were previously known. But it was the first detailed catalog of such objects, and so they came to be known as Messier objects. Messier continued to add to the catalog until 1781, and by then the number had grown to 103. A century after his death, seven more objects were added to the list since they were discovered by Messier or Méchain, so now the official list numbers 110. The objects are popular with amateur astronomers, and a personal observation of all 110 objects is a popular goal. There are even Messier marathons, where one tries to observe as many Messier objects as possible in one night. Messier also discovered 13 comets, including Lexell’s comet and the great comet of 1769. But he will always be known for the nebula he cataloged so he could get on with real work. Sometimes an act of frustration turns out to have the biggest impact.